Are you looking for the perfect all weather bluetooth speaker? I found it. 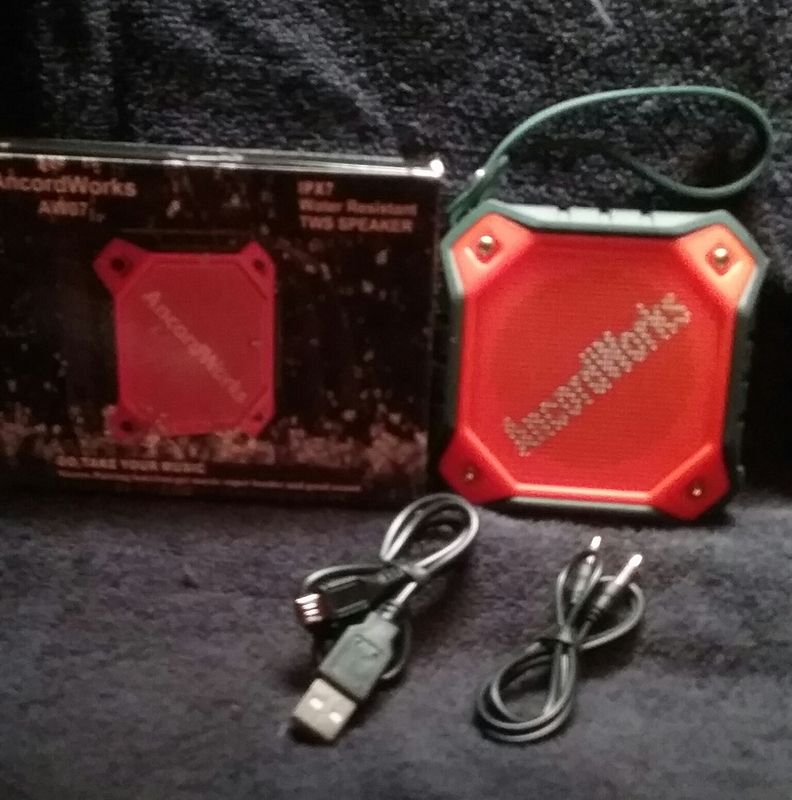 AncordWorks Waterproof Outdoor Bluetooth Speaker, it's rugged with a shock-absorbing exterior. It has a certified IPX7 rating (Submerged in 1 meter of water for 30 minutes) This speaker can withstand powerful water jets from any direction. It's a great shower bluetooth speaker. This bluetooth speaker can pair with any portable Bluetooth 4.2 device, such as cell phones, tablets, laptops, MP3s and CD players. It pairs through wirelss conectivity or through the included 3.5 mm aux cable. It has a 33 ft range giving you the freedom to move around where ever you are as long as you can connect to your phone. You can listen to your music while you camp, fish, pool party, or shower. You can talk on your cell phone with the built in mic for hands free speaker calls.Any where your phone is able to connect and have signal, you can listen to music and take your calls, whether you're at home in your office, or out in the great outdoors. The rechargeable battery will play for 12 hours depending on music volume. I was really surprised at the crystal clear sound that comes from this speaker.It's not very big but the sound that comes from it is. The small size makes it so easy to take with you everywhere.